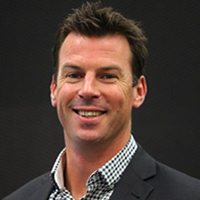 Ian Prendergast joined the RLPA as Chief Executive Officer in December 2015 from the AFL Players Association, where he had been the General Manager of Player Relations since 2009. Ian completed his law degree at Monash University while playing 65 AFL games over eight years for the Carlton Football Club. He is also a past General Secretary of the Australian Athletes Alliance, where he gained a broad understanding of the issues facing Rugby League Players. Ian led the RLPA through the most recent Collective Bargaining Agreement negotiations with the NRL, which secured a significant number of improved benefits for Rugby League Players over the next five years. As well as his role of CEO, Ian is also the Managing Director on the RLPA Board. 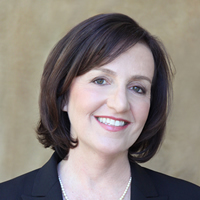 Betsy Grey is the Jack E. Brown Chair in Law in the Sandra Day O'Connor College of Law and faculty fellow with the Center for Law, Science and Innovation at Arizona State University. Professor Grey publishes and teaches on issues of tort law, products liability and mass tort litigation, as well as neuroscience and law, and has presented to judicial conferences and other professional groups on these issues. Her recent scholarly work has focused on the study of no-fault compensation systems in the United States, as well as the impact of advancements in neuroscience on tort law. Professor Grey also has taught products liability as part of a common law program to law students in France and Italy.